Disclosure: The Apple Cinnamon Oat Muffin Recipe is a sponsored post on behalf of the Pompeian #PantryInsiders. As always all opinions are my own. 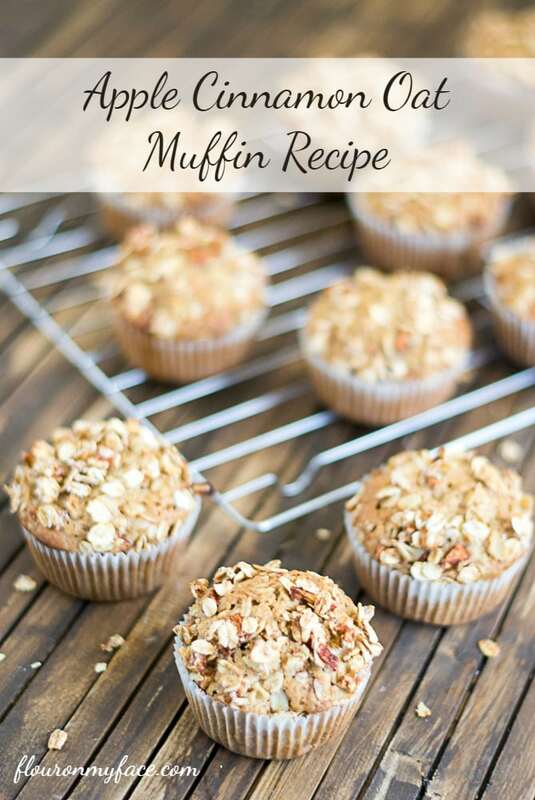 When you think about a sweet muffin recipe like this Apple Cinnamon Oat Muffin recipe olive oil is probably the last ingredient that would come to mind. All muffin recipes have some type of fat included in the ingredient list. Olive oil is a great fat option in many of your baked goods included dessert recipes. Ask any Italian you know and they will agree, that extra virgin olive oil is wonderful in baked desserts. The new Pompeian Smooth Extra Virgin Olive Oil is perfect for baking sweet recipes like this Apple Cinnamon Oat Muffin recipe. It has all the benefits of cooking with extra virgin olive oil you would expect with a milder olive oil flavor. It is perfect for baking, sauteing, sauces and stir-frys. 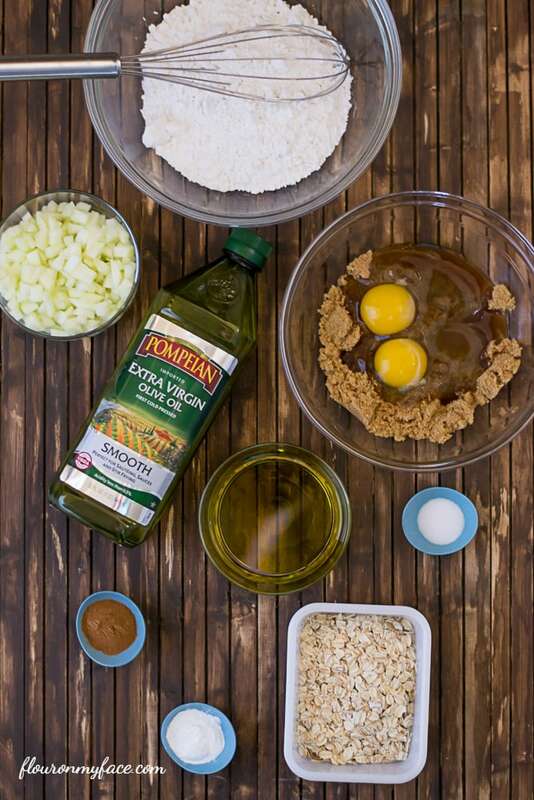 For recipes where a more pronounced olive oil flavor enhances the recipe Pompeian Robust Extra Virgin Olive Oil can be used. Pompeian Robust is perfect for marinades, pasta’s, (like my Garlic Pasta and Asparagus recipe) and homemade salad dressings. Olive oil muffins are moist and delicious. Pompeian Extra Virgin Olive Oil Smooth is a perfect oil choice for these sweet apple cinnamon oat muffins. The topping is lightly sweetened with chunks of apple, cinnamon, oats and just a hint of sugar. The oats give the topping a little crunch while the apple, cinnamon and sugar adds just enough sweetness. Mix the dry ingredients together in a bowl. Whisk till combined. Add oats to the bowl and mix well. In a separate bowl beat the brown sugar and eggs 2 minutes. Add the oil and buttermilk and beat 1 minute more. Fold the wet ingredients into the dry just until moistened. Add the chopped apples to the bowl and fold until combined. Fill each muffin tin 3/4 full. In a small bowl mix the topping ingredients. Top each muffin with about 1 tablespoon of the topping mixture. Bake in a preheated 350-degree oven for 30-35 minutes or until a toothpick inserted into the center comes out clean. Remove pan from the oven and cool for 5 minutes on a cooling rack. 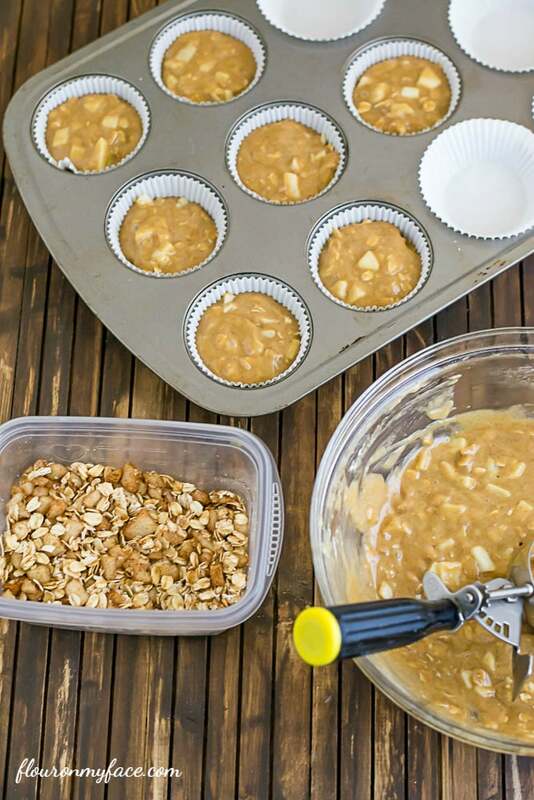 Remove muffins from the muffin pan and cool completely on the cooling rack. To learn more about Pompeian olive oils you can check out the Pompeian website and follow Pompeian on Facebook. Previous Post: « Blogging Resources | Turn Your Hobby Blog into a Career – For Real! My son’s all time favorite muffin. Your son has great taste Amy! 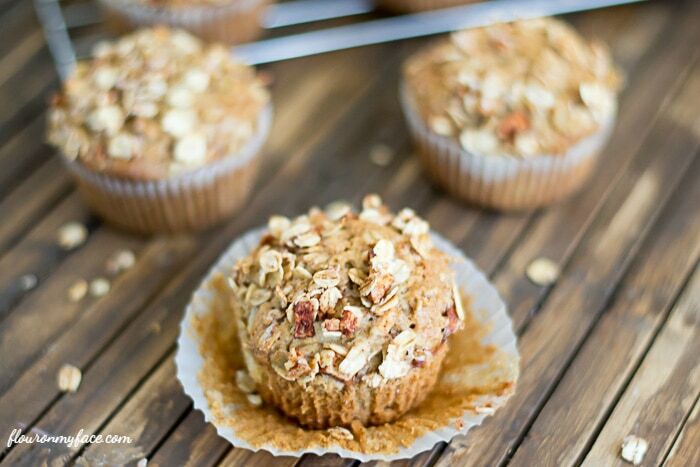 What temperature do I bake these apple cinnamon oat muffins at? So sorry I left that out- a preheated 350-degree oven.